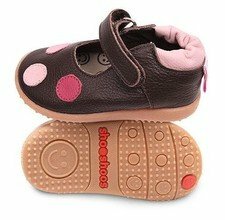 Shooshoos is a company that dedicates its activities to design solutions to make the first steps of the child as natural as possible in order to allow a proper motor development. 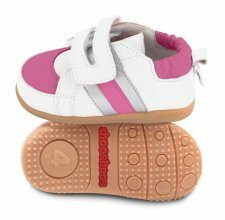 The shoes have a soft rubber sole that simulates walking barefoot. The production also takes place in South Africa at a disadvantaged community of women allowing them to work from home and to receive weekly wages. 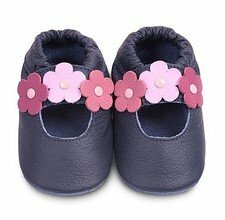 Lilac classic girls soft soled leather baby shoes, recommended by paediatricians and podiatrists as the best choise for little growing feet. 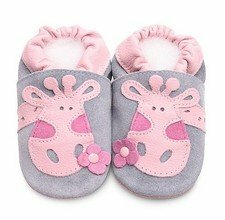 Pink giraffe classic girls soft soled leather baby shoes, recommended by paediatricians and podiatrists as the best choise for little growing feet. 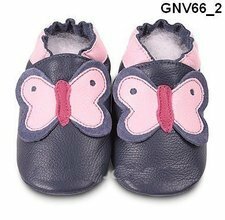 For baby girl in pink and white.